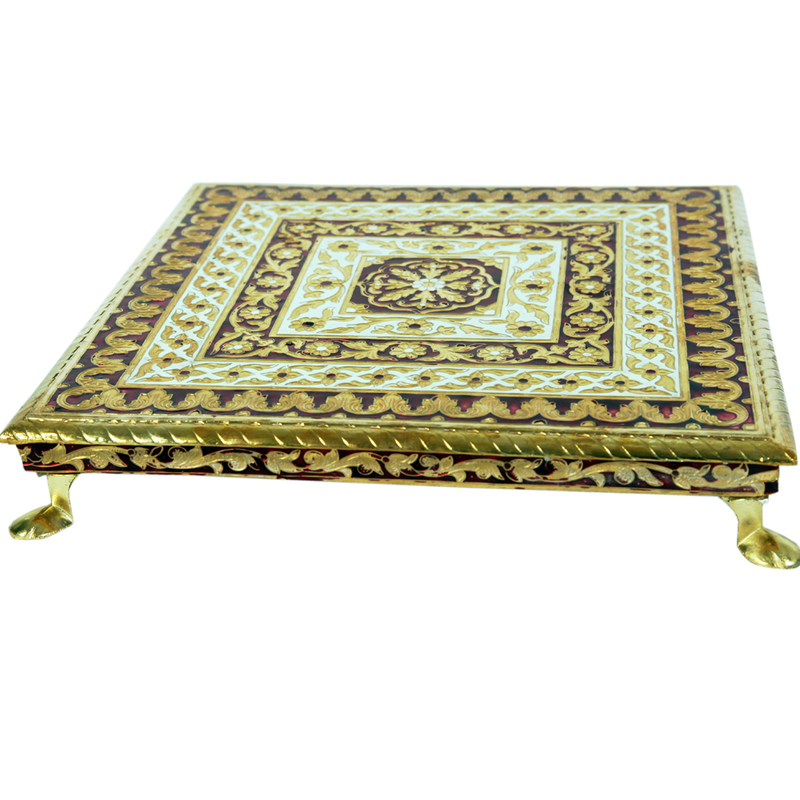 The Traditional Wooden Chowki with Metal Sheet and Meenakari Work impresses with the fine display of the ethnic Meenakari work on the finely carved wooden Read More..body. In fact, the fine display of Meenakari work along with the intricate pattern work present on the metal sheet on wooden body makes this traditional piece a sight to behold, and suitable for the most regal of home decors. This traditional chowki is sure to find favor among lovers of ethnic design, and is perfect for all corners of the household. Show Less..